One often-overlooked area of workplace safety is protection against hearing damage from loud noises at work. These noises can either be sudden blasts of noise, such as what occurs with a press, or continuous noise. In either case, exposure can cause hearing loss that can be either temporary, or in many cases, permanent. In many facilities, there is no way to eliminate dangerous levels of noise, so it becomes necessary to wearing hearing protection. To ensure those wearing the protection have sufficiently reduced the amount of noise entering their ears, the type of protection worn must meet the ANSI S3.19 standards. ANSI's S3.19 standards are used to make sure that hearing protection provides a predictable level of protection. There are many levels out there depending on need. In order to comply with the ANSI standards, hearing protection needs to be tested by an authorized testing facility before that model can be sold with the NRR (Noise Reduction Rating) labeling. Typical NRR's can go from 22dB to 33dB, though there are some options that are higher. The ratings can be applied to both ear plugs and ear muff style hearing protection. The rating levels do not measure how many dB will be filtered out from an environment, which is a common misunderstanding. Being able to calculate the actual protection level is very important when choosing the right hearing protection for a given situation. To determine how much of a reduction in dB there will be, one must take the NRR number, then subtract seven, and then divide by two. Then take the dB level in the environment and subtract that number. So, if a factory has a steady noise level of 100dB and the hearing protection is rated at NRR 33dB, the formula would look like this: (33-7)/2=13. 100-13 = 87db. Based on that, the noise levels that still reach the employee would be 87dB. This formula can be used for ear plugs or ear muffs. Another important thing to note when calculating protection levels is that if an employee is wearing both earplugs and ear muffs for hearing protection, the dB protection is not calculated by adding the NRR of both items. In this instance, the actual NRR protection level is calculated by taking the higher NRR number and adding 5 to it. That number is then used in the above calculation to determine the exposure levels while wearing both pairs of hearing protection. When determining whether hearing protection is needed for a given area, it is necessary to understand the risks of both sudden noises and constant noise. A sudden, loud noise such as a machine press engaging can cause severe damage in an instant. Making sure everyone is wearing the proper ANSI S3.19 approved hearing protection anywhere that has the potential for the sudden, loud noises is critical. Constant noise, even if it isn't extremely loud, can also cause hearing damage. Many employees resist wearing hearing protection because they quickly get used to the constant noise in the background. Even if some people claim to not notice it, however, it is still important to have the proper hearing protection. 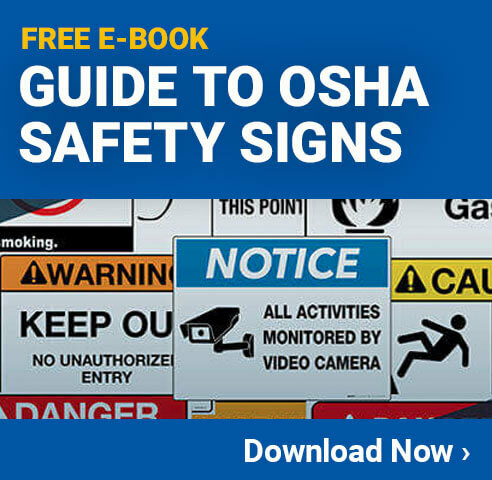 In many situations, it is even required by OSHA.